For those who hear Milton Keynes and think concrete, think again. 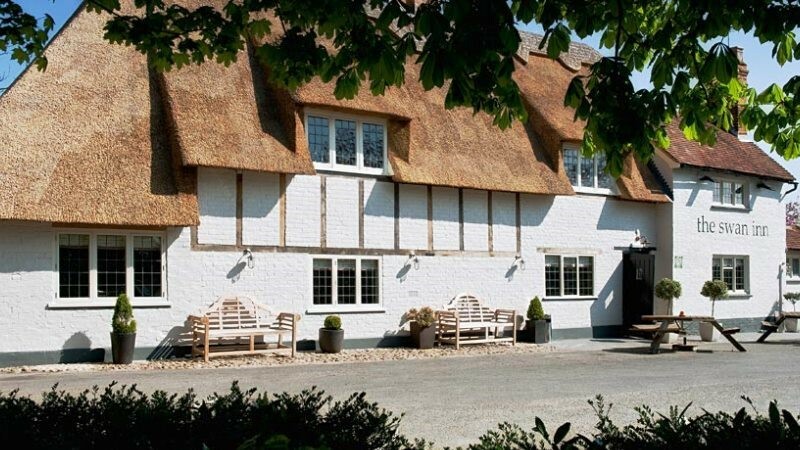 Located in the original village, (YES THERE IS ONE) the Swan Inn MK boasts all the charms of a traditional local; a thatched roof, wooden beams, flagstone floors, an open fire, and just as importantly, quality food and drink. Serving up Modern British, seasonal menus, and daily specials, the kitchen strives to work with local suppliers and even promotes striking a deal with a chef. Bring in the fruits of your labour, your home-grown fruit and veg and they may even take money off your next meal. Winner of the “Best Pub in the South East in 2016” and “County Winner” in the Pub & Bar Awards in 2017. Little Gems are a small, intimate, independent group with a collection of five pubs situated in the heart of Bedfordshire and Buckinghamshire. Far from the cookie-cutter corporate style of our bigger competitors, our little gems each boast their own unique personalities and style but are united by common goals. We are all about serving up quality, seasonal, fuss-free food, keeping our bars stocked with well-kept cask ales, gins, spirits, extensive yet carefully crafted wine lists featuring over 30 wines by the glass and providing that welcoming, informal and familial atmosphere. We pride ourselves on being everyone’s local. Little Gems are a home from home where our customers and locals can eat, drink, sit back and thoroughly enjoy the experience.